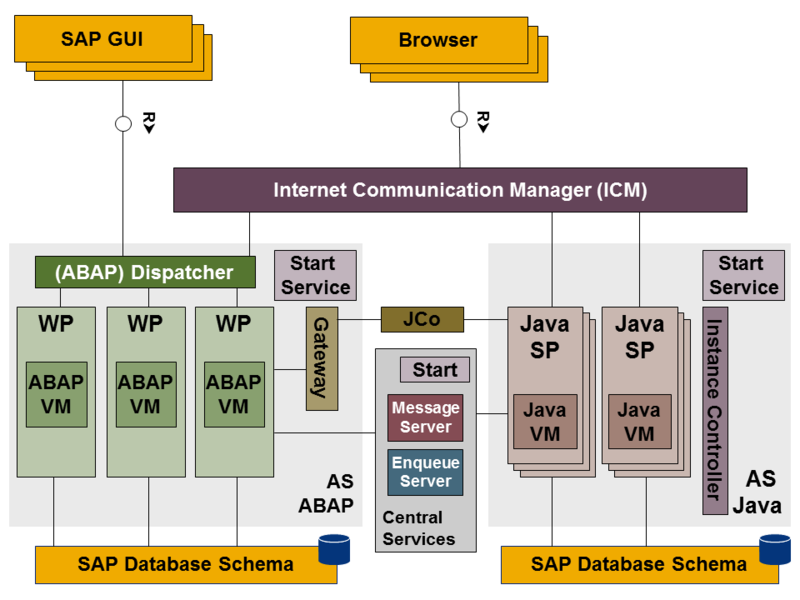 SAP NetWeaver is a web-based, open integration and application platform that serves as the foundation for enterprise service-oriented architecture (enterprise SOA) and allows the integration and alignment of people, information, and business processes across business and technology boundaries. It utilizes open standards to enable integration with information and applications from almost any source or technology. SAP NetWeaver is the foundation of SAP Business Suite and SAP Business ByDesign, and also powers partner solutions and customer custom-built applications. The SAP NetWeaver Technology Map comprises all these capabilities and depicts them in a structured map that enables you to drill down from top-level technology areas (for example, Lifecycle Management) to individual capabilities (for example, Administration, Monitoring, and so on). The pace of change in business is accelerating at a rate the world has never seen before. Advances in mobile, cloud and Big Data technologies require companies to analyze data, make decisions and innovate faster. SAP HANA has a comprehensive feature set that allows you to simultaneously handle real-time transactions and analytic workloads with extreme speed. SAP HANA is an innovative in-memory data platform that is deployable on-premise as an appliance, in the cloud, or as a hybrid of the two. SAP HANA is the ideal platform for performing advanced, real-time analytics while simultaneously handling real-time transaction workloads. 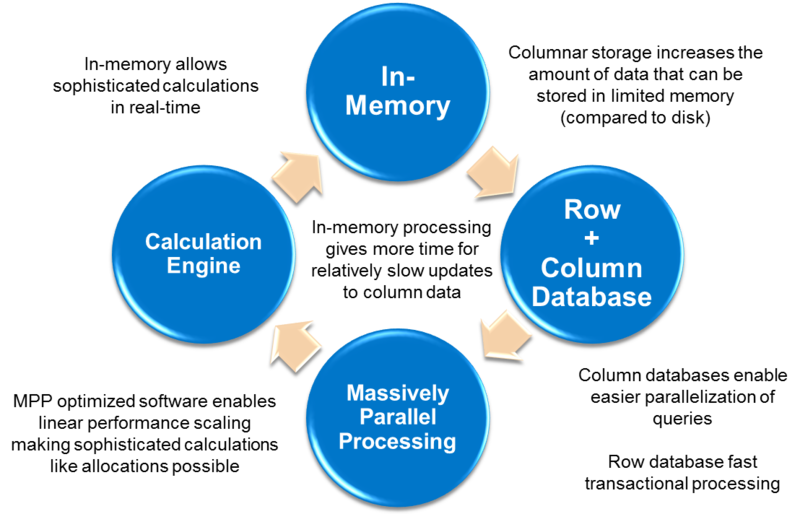 SAP HANA is unique in its ability to converge database and application logic within the in-memory engine to transform transactions, analytics, text analysis, predictive and spatial processing. Why SAP HANA is the Future of Business. Massive Speed – Database scans up to 3.19 billion per second, per core. Real-Time Business – Up to 2,000 times faster intercompany reconciliation. Extreme Scale – Guinness World Record of largest data warehouse with SAP HANA and SAP IQ. Radical Efficiency – Reduces financial accounting data footprint by up to 37 times. Lower Cost – A single system for OLTP & OLAP. Projected 37% cost savings over four years across three use-cases. Choice – Deploy anywhere, in the datacentre or in the cloud. Innovation – Supporting over 3,200 enterprises and over 1,500 start-ups. Open – Runs on leading hardware systems; used by leading software vendors. Flexibility – Supports multiple data types – structured and unstructured: text, social, machine, geospatial and business data. Speed to Decision – Real-time insight into multi-channel sales data.